Bernie Dean has been appointed Chief Executive of Industry Super Australia commencing 1 September 2018. Bernie assumes the role after a long career working with government, unions and employer groups to improve the lives of working people. Bernie is currently ISA’s Chief Operations Officer, having joined us in early 2013 as the Director of Marketing, assuming responsibility for the successful collective marketing campaign to promote the benefits of being a member of an Industry SuperFund. “Bernie’s commitment to improving the quality of retirement of all Australian workers is paramount. “During his time at ISA, Bernie has led a series of ground-breaking campaigns, including ‘Compare the Pair’, ‘In good hands’ and ‘Banks aren’t super’. “Member recognition of, and trust in industry super funds has grown significantly under his stewardship of the campaign. “More broadly, Bernie has experience working with governments, employers and trade unions and is well-known among industry super funds. “We are delighted that he has accepted our offer to become Chief Executive of ISA. Prior to joining ISA Bernie held a number of senior positions in the Victorian public service. 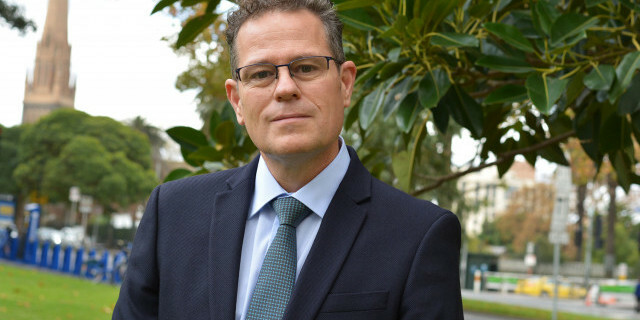 As the Executive Director of Marketing and Communications for many years Bernie led WorkSafe Victoria’s award-winning marketing program to drive down the rate and cost of workplace injuries. Bernie later became the General Manager of OHS Strategy, leading collaboration between the regulator, employer and union bodies to develop policy and regulatory solutions to tough problems faced by workers; like asbestos removal, dangerous machines and manual handling. Prior to his departmental roles, Bernie was a senior adviser to the former Victorian Premier Steve Bracks on issues including infrastructure and public transport. Bernie joined government after working as an organiser with the ACTU in the mid-1990s where he represented and campaigned alongside workers across the public, hospitality and finance sectors.